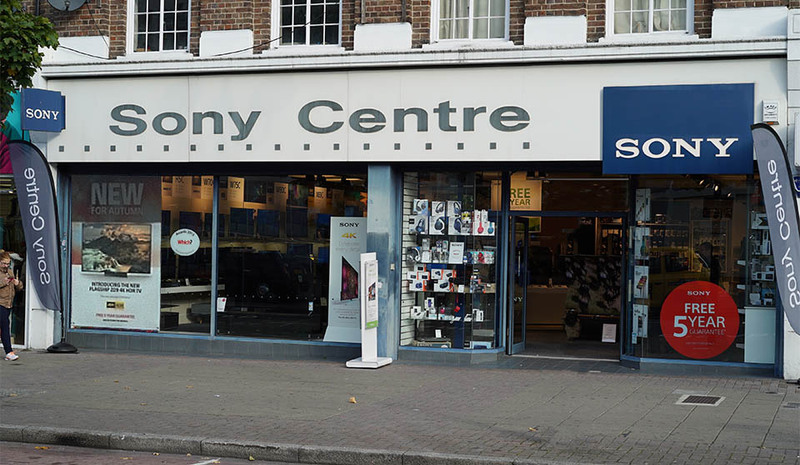 Our Harrow Sony Centre is located right outside the Harrow-on-the-Hill underground station. We carry a full range of exclusive Sony products & exclusive offers - available in store before anywhere else. Just pop in to see what we have on offer! A large shop front showcasing the latest products, followed by a massive showroom allows customers to experience the full range of Sony products in ambient space and style. Many products are displayed allowing consumers to see, hear and feel the merchandise before making a purchase. We regularly check our competitor’s prices to ensure we are offering you the best possible value. We offer a number of finance options (through our partners Hitachi Capital (UK) PLC) on purchases over £250.00. 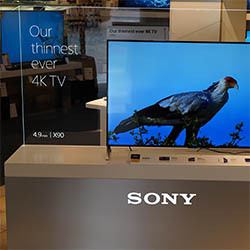 The store offers the largest range of Sony LED, OLED and 4K Ultra HD televisions anywhere in the country in screen sizes from 32” to 85” in stock to take away. Alternatively you can take advantage of our delivery and installation service. All our Sony TV’s come with a FREE 5 Year warranty underwritten by Sony. To complement your TV we offer a range of Blu-ray Players, Sound bars and Home Theatre systems to enhance the sound quality and your viewing experience. 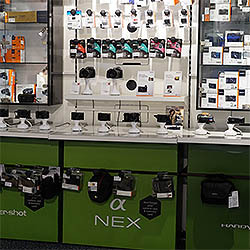 At the Sony Centre we provide a full range of cameras, camcorders and accessories for the discerning professional and casual snapper alike. Pop in, pick one up from our extensive demonstration models and try it out. 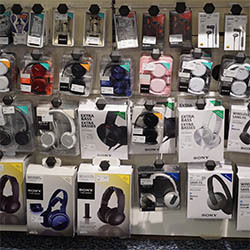 The store offers the full range of Sony Portable Audio products and accessories, ranging from the latest MP3 players, noise-cancelling Bluetooth headphones, to the latest cutting-edge Wireless Multi-room speaker systems. 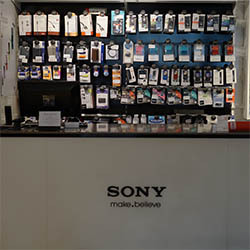 In store, we have a number of experienced, dedicated and highly-trained staff to help you at every step of the way in discovering the right Sony product for you. Whether you are unsure about the difference between LED and OLED televisions, or would like to try out one of our cameras in store, we are on hand 7 days a week to help.